Discussions between Saab's owner Swedish Automobile and two Chinese investors on a takeover deal to rescue the struggling carmaker are continuing despite General Motors Co.'s opposition to the deal, Saab said. "We want to come to an agreement with GM. That is basically where we are at the moment,'' Eric Geers, a Saab spokesman, told Automotive News Europe on Monday. Pang Da Automobile Trade Co. and Zhejiang Youngman Lotus Automobile Co., signed an original memorandum of understanding with Swedish Automobile, five weeks ago to buy Saab for 100 million euros ($134 million), replacing an earlier deal to purchase a combined 53.9 percent in Swedish Automobile for 245 million euros. GM is Saab's former owner and still supplies the carmaker with parts and technology. GM said it would not continue to license its technology to Saab if to the Chinese investors took control. The U.S. automaker is opposed to the deal on the grounds it could compromise its competitive position in key markets including China and allow rivals access to its technology. Pang Da and Youngman plan to inject more than 500 million euros ($709 million) into Saab to restart production and return the carmaker to profit by 2014. Despite the hurdles facing the deal, Saab says the two Chinese investors remain committed to buying the Swedish carmaker. They continue to be ''very engaged,'' Greers told ANE. 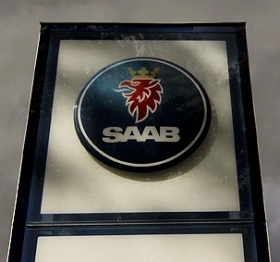 Saab has been operating under creditor protection while trying to restructure its operations for a second time since being put up for sale by GM in 2009. Production has been suspended since April.